We offer something for everyone – Young and Old! This is a family owned and operated campground. 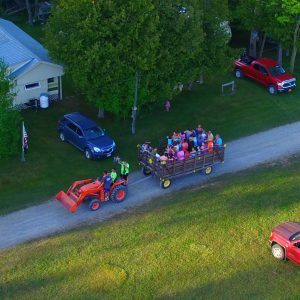 Bring your family and fellow campers to enjoy fun-filled camping. Swimming, Volley Ball, and Horseshoe Pits! Tennis Court, Baseball Field, and Playground! A Nature Trail and Game Room! 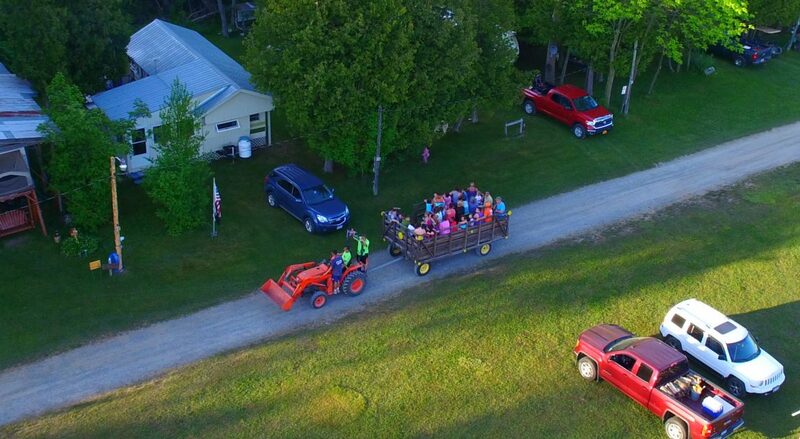 And… Hayrides on Saturday nights! Our campground is minutes away from the Black River. Other close attractions include: the Adirondack Mountains and the St. Lawrence River. We are also located close to the Tug Hill Urgent Care. We offer weekend activities for those looking for a little extra something to do. All of our facilities are very clean and well maintained. We have both open field and wooded sites. All sites are well-maintained and spacious. For more information, click here or visit our photo gallery. Please join our mailing list to be updated on events and promotions! DON'T MISS THE VIRTUAL TOUR LOCATED ON THE MENU BAR!